Eli Tomac lives about seven hours and two mountain ranges from Denver, but it’s still his home-state Supercross. Coming into Denver, he was hot and fresh from his win in Nashville. Cooper Webb, on the other hand, was trying to close out his season and earn his first 450 Supercross Championship. His 21-point lead was enough to take some pressure off–he didn’t have to win, but he couldn’t mess up. 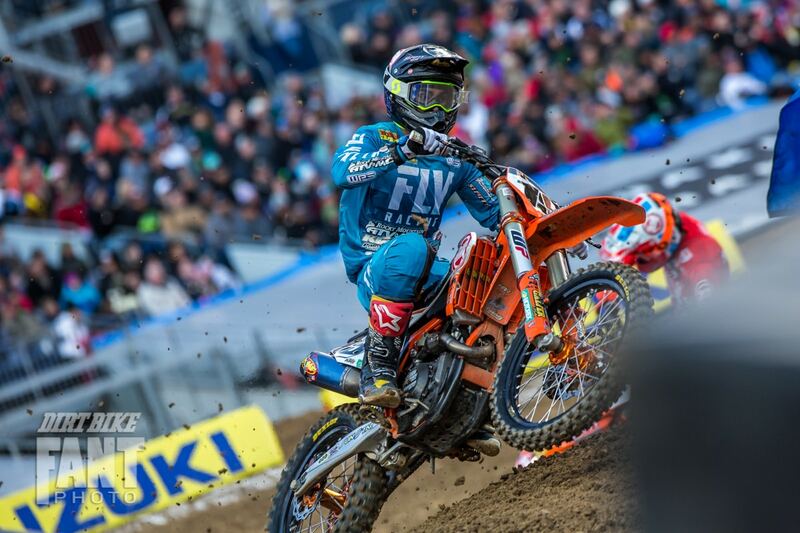 Marvin Musquin, Blake Baggett and Dean Wilson all had something to prove, setting the stage for an epic round 15 of the 2019 AMA Supercross series. 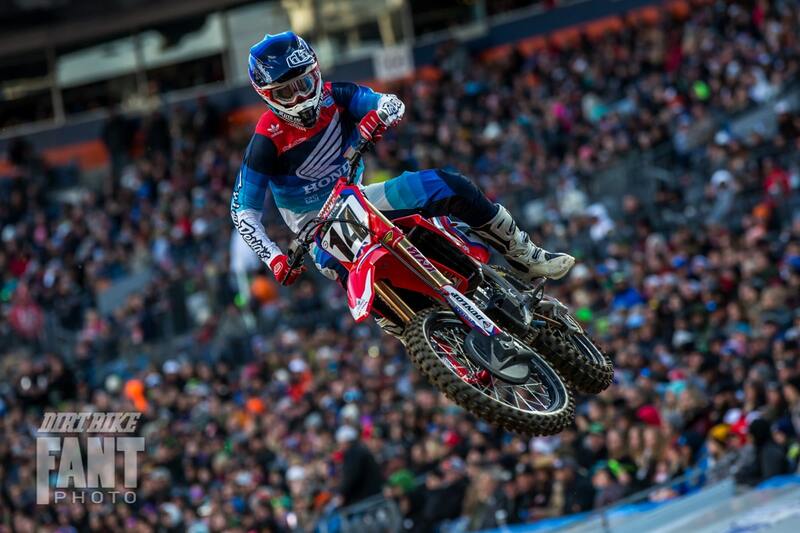 For the 2019 Denver Supercross 450 main event, click here. Justin Bogle won his first heat win of the year. Photo by Travis Fant. Rocky Mountain KTM teammates Justin Bogle and Blake Baggett went straight to the front of the first heat with a tight freight train of talent close behind. Zach Osborne, Marvin Musquin, Ken Roczen and Dean Wilson were nose to tail for most of the race. Roczen and Musquin started bangingbars and losing some time to the riders in front, but eventually, Roczen moved into fourth. Up front, Bogle didn’t crack under the pressure from his teammate. On the final lap, Baggett grabbed a little too much throttle and spun out, allowing Osborne to move into second. Bogle won followed by Osborne, Baggett, Roczen and Musquin. Cole Seely stayed out of trouble to win heat two. Photo by Travis Fant. The second 450 heat held an intense battle between Eli Tomac and Cooper Webb, and it wasn’t even for the win. Cole Seely was up front and riding well with Joey Savatgy in second. Webb and Tomac traded places several times, catching up to Savatgy in the process. Webb found himself sandwiched between the two Kawasaki teammates for several laps, making for some stressful moments. 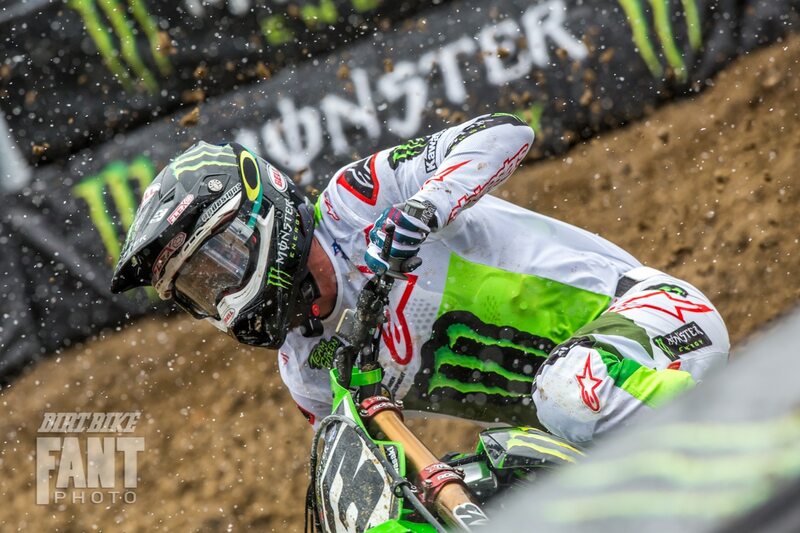 Tomac managed to pass both Webb and Savatgy to move into second with only a few laps remaining. Savatgy clearly did everything he could to keep Webb behind him, but eventually gave in. Finishing in fifth was Josh Grant, in his best ride so far on the Monster Energy Yamaha. 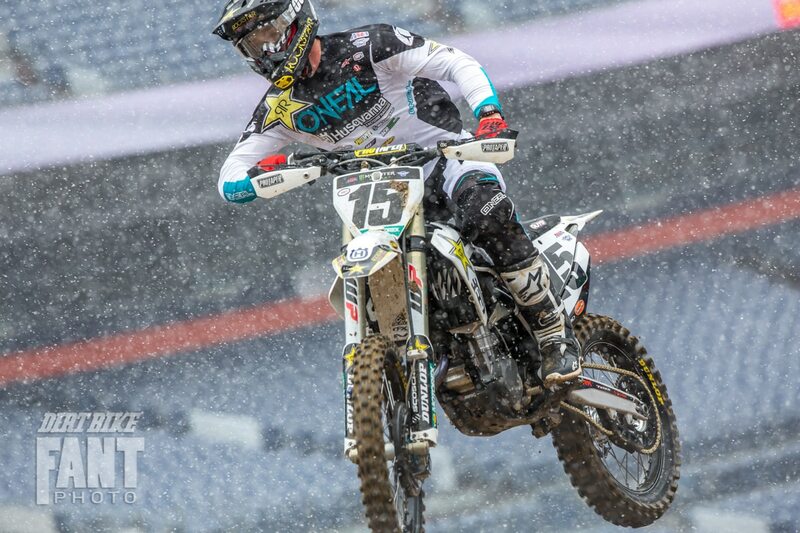 Eli Tomac was top man after qualifying in the snow at Denver. Photo by Travis Fant. Timed qualifying for the 450A, session one started under fairly heavy snowfall, with the temperature at 32 degrees. Still, the track itself was in good condition. That set the stage for Dean Wilson to throw down another of his famous heaters and earn the top position. As usual, all the top riders were tight. 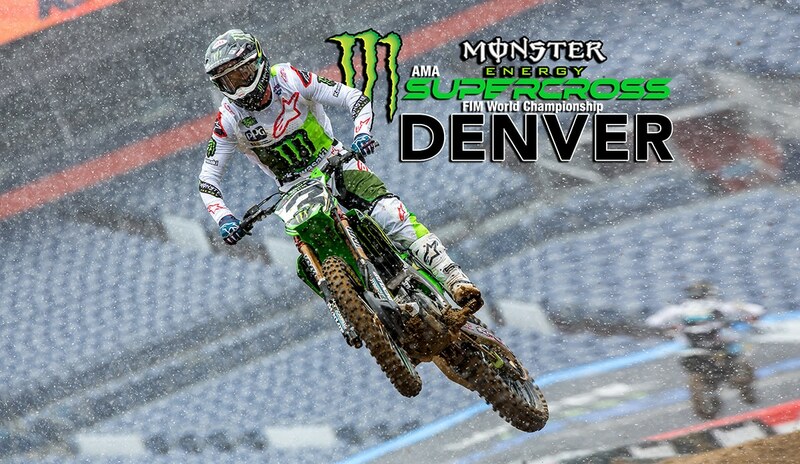 DENVER 250 SUPERCROSS: CIANCIARULO COMES BACK!